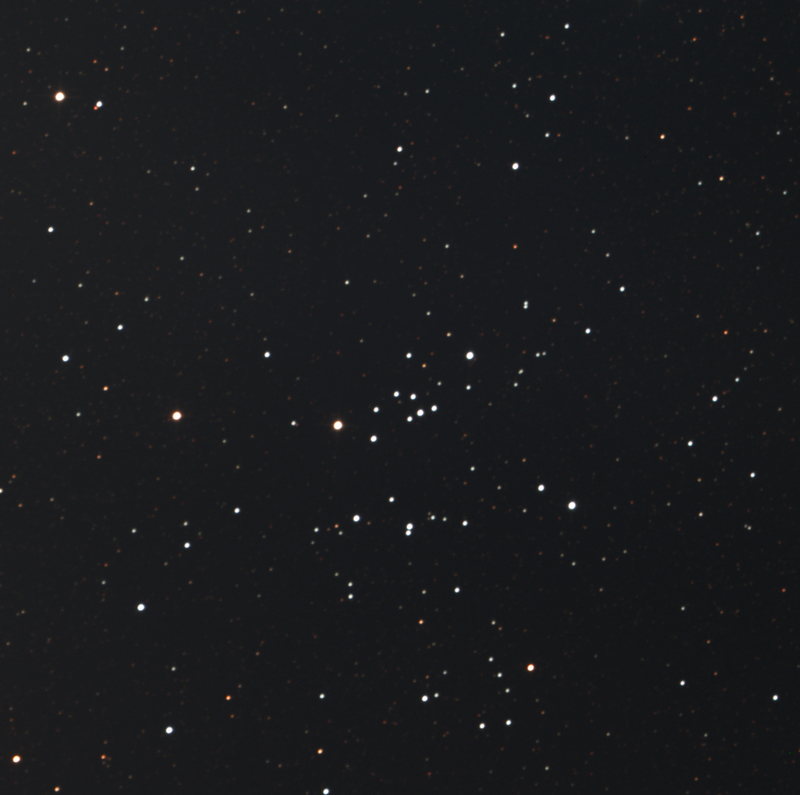 Had another go at Messier 25. I had tried processing the LRGB data (gathered on 7 Aug) previously and went through 3 iterations before getting something I was happy with. Luminance 60x10, RGB 60x5 each. FITS Liberator, Photoshop CS. 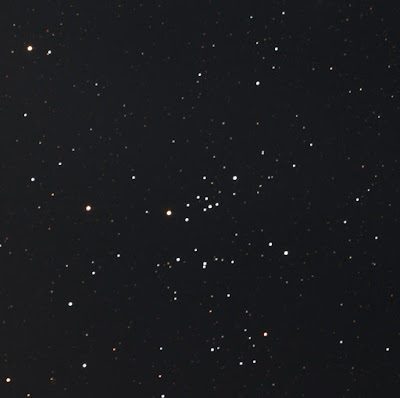 Most of the cluster's stars are white. There are some fantastic orange and red stars in the field. The primary star of U Sgr aka BU 966 is orange. B is white. C is white. E is white. F is blue-white. G has a hint of yellow. H is bright grey. J is white. K is white. L has a hint of blue. M is light grey. P is grey. Q is grey. R is beige. The really faint star really close to R is red. S is white. T is white. The equal, tight pair sharing the label GSC 06274-1098 appear to be the same colour, a very light sky blue. ARA 753 A is a very pale blue; B is grey.